In the onset of emerging regulations, cryptocurrency exchanges are looking to legitimize their services. On Sept. 12, Bain Capital Ventures invested $15 million in Seed CX, a licensed institutional digital asset exchange, during a Series B funding round. According to a press release, Seed CX raised funds from several other investors as well, including CMT Digital, Tetras Capital, F2Pool and others. The completion of the investment round brings Seed CX’s total funding to over $25 million at press time. 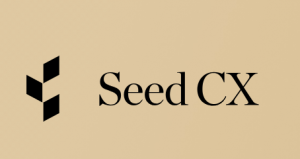 Seed CX plans to use its funds to hire a team of 40 people, expand its network of institutional traders and further develop its physical trading infrastructure. Based in Chicago, Seed CX is a licensed institutional digital asset exchange that offers institutional trading and settlement for CFTC-regulated derivatives and cryptocurrencies. The exchange uses settlement engine Zero Hash to offer rapid settlements for both fiat and digital assets and provides custody services through its Digital Asset Vault. Seed CX is in possession of several licenses, a few of which include a Swap Execution Facility license, Introducing Broker license and pending BitLicense with the New York Department of Financial Services. Seed CX has also applied for a Broker-Dealer registration with the Financial Industry Regulatory Authority. Seed CX gives institutional and professional traders access to higher minimum order sizes with compatible liquidity as well as an OTC trading service. The platform is currently open for trading. The post Bain Capital Invests $15 Million in Institutional Crypto Exchange Seed CX appeared first on CryptoSlate.